Clinton allegedly provided legal services for the cement multinational before serving on its board of directors and accepting its generous donations. Hillary Clinton was directly involved with Lafarge, a French cement multinational that paid the Islamic State group for oil, reported The Canary on Friday. Clinton served on the company’s board of directors from 1990 to 1992. After Bill Clinton was elected president, Lafarge’s fine with the Environmental Protection Agency was reduced to a third of the original price. The Canary also cited the American Spectator, which reported that in the late 1980s Clinton provided legal representation for Lafarge while its U.S. subsidiary “provided key services for the covert arms export network that supplied Saddam Hussein,” said the American Spectator article. Lafarge was also a major donor to the Clinton Foundation, spending over US$100,000 in 2015 and 2016. 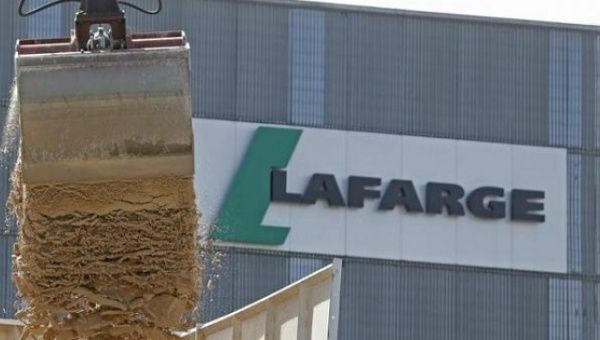 According to investigative reports by the Syrian opposition website Zaman al-Wasl and Le Monde, Lafarge operated a cement works in Jalabiya, which came under Islamic State group control in 2013. Emails obtained by both sources show that the company arranged deals with the IS group to ensure continued production and circulation of its cement. Headquarters knew about the deal, they reported. Le Monde also reported last month that Lafarge paid taxes and bought licences from the group’s oil traders, and Zaman Al-Wasl reported in February that the company regularly bought the jihadist group’s oil. Lafarge is back in the news because Paris is now doing business with the company, paying Lafarge to supply the sand for its popular “Paris Plage” pop-up beaches on the banks of the Seine. Parisians have already launched a petition with almost 40,000 signatures to demand the city boycott the cement company once and for all.